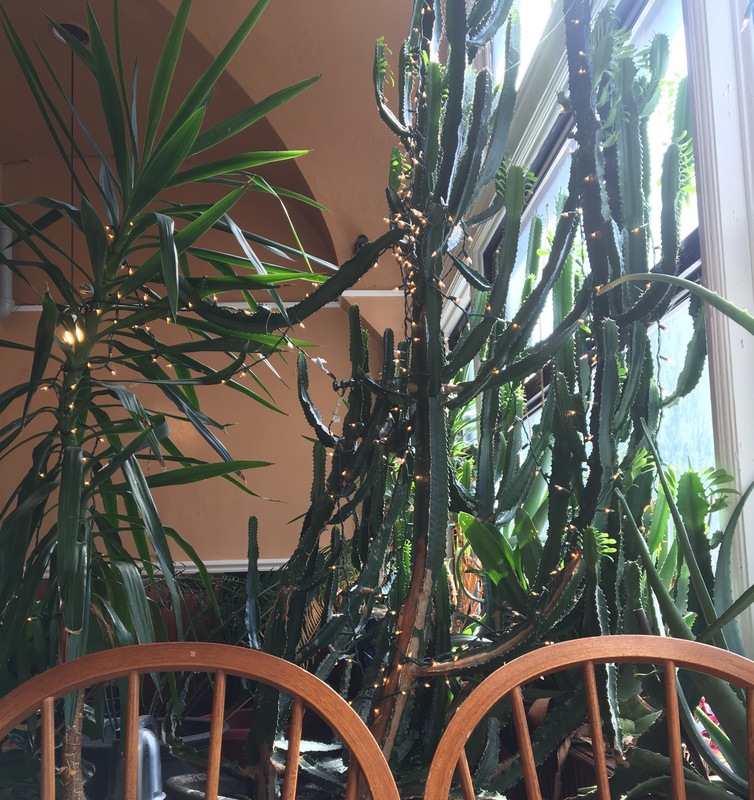 This hidden gem is quite possibly our favorite hidden cafe, because if you’ve been there, you know it scores just as many points with the “hidden” as it does with “cafe”. My Thai Vegan Cafe is located in Boston on the border of Chinatown and the Theatre District. You’ll see the white sign outside of the place, but where is the cafe? Go in the glass door with the metal frame, sometimes propped open. Go up the stairs (yes, those stairs!) and follow the little paper signs pointing to the “Vegan Cafe” and “Bubble Tea”. Up top you’ll find a quant little place with cacti in the corner. Get the bubble tea. 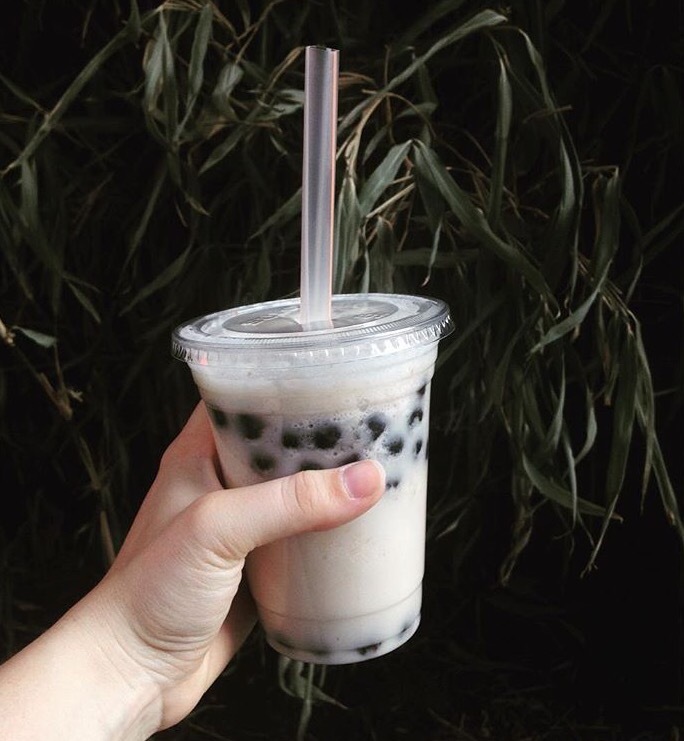 If you stop in even just to check it out, get the bubble tea! We love lychee flavored, but it’s an acquired taste. They’ve got all sort of flavors from the normal: mango, strawberry, banana to the funky: mung bean, green tea, avocado, and many more. The whole cafe is vegan, but meat- eaters certainly won’t be disappointed. There’s wanton soup, lo mein of every kind, fried rice, and lots of pad thai. Dishes to highlight include the wanton soup for starters and lo mein plus with the tofu “shrimp”, “beef”, and “pork”. End it with the signature chocolate cake, and you’ll be full and happy! So if you’re in Boston, check out My Thai. Follow along for more Vegan Cafe Spotlights: World Tour as we highlight Boston this week! awesome review – gonna be in boston soon, so great to have good recs!